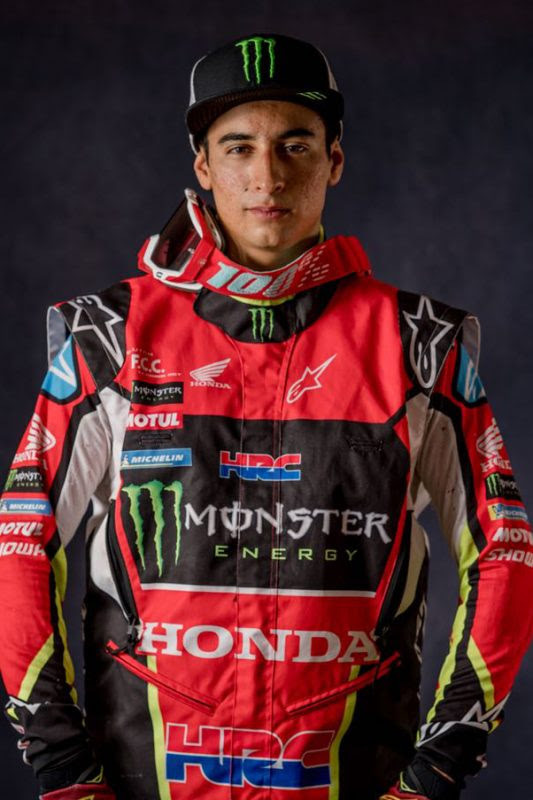 Monster Energy Honda Team’s Chilean rider, José Ignacio Cornejo, finished the opening stage of the Inca Challenge, held on Friday in Ica, Peru, in a promising third position. Benavides opened the track for much of the race but fell victim to an irregular waypoint. 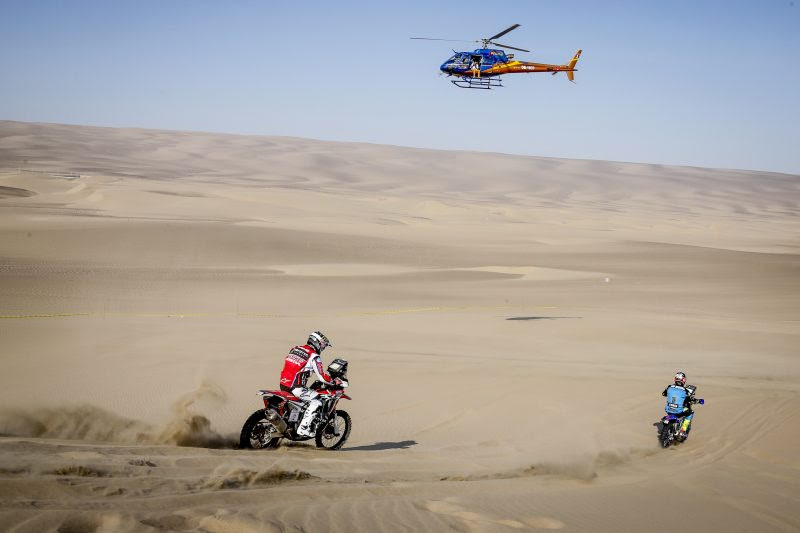 The first stage of the Desafio Inca, taking place in Peru, saw some riders’ performances hampered by certain navigational complications en route. 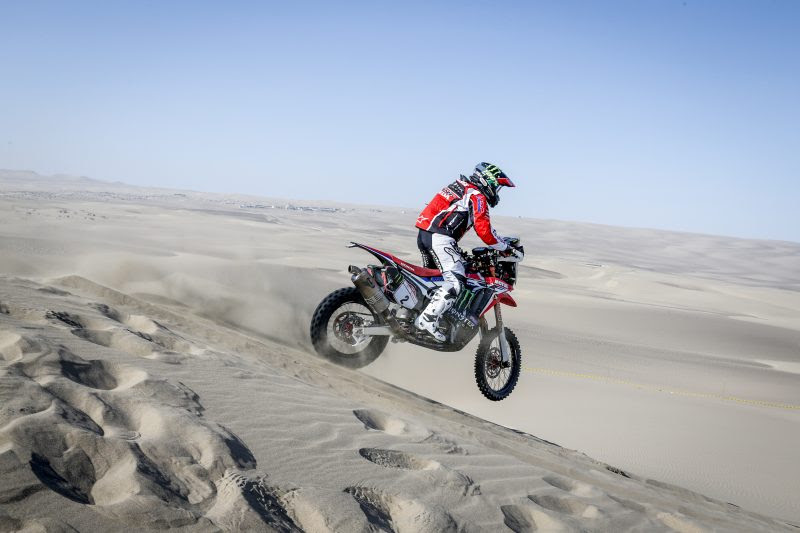 As the race got underway with a mass start in the dunes of Ica, Kevin Benavides began to emerge from the group, and by kilometre 30, was opening the track. 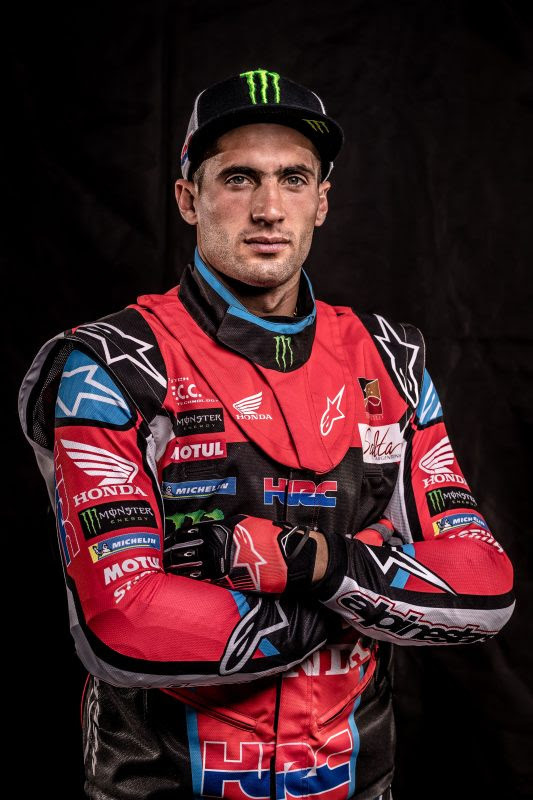 However at around kilometre 60, a dubious entry in the roadbook meant that much of the leading pack lost ground, with Benavides among them, in spite of the eagerness to win the stage. The net result saw Benavides posting ninth on the day, some twelve minutes behind the day’s eventual winner. 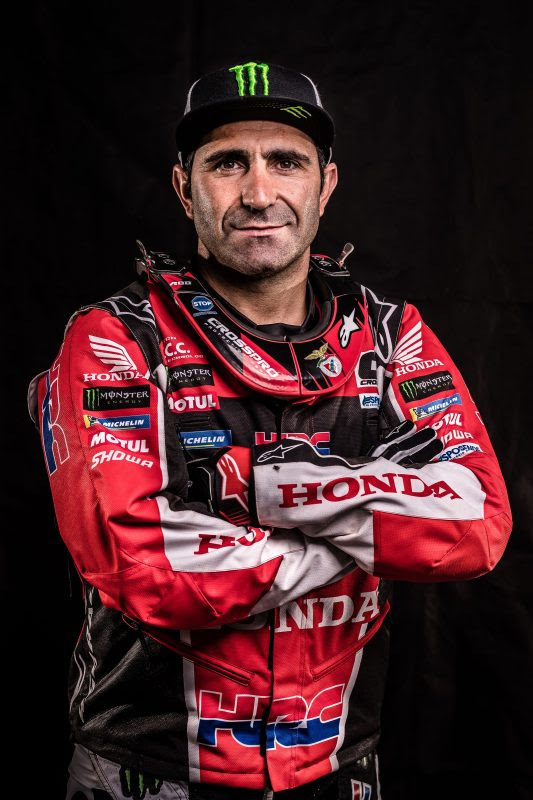 The leading representative of the Monster Energy Honda Team proved to be José Ignacio Cornejo, who scored the third fastest time on the day. 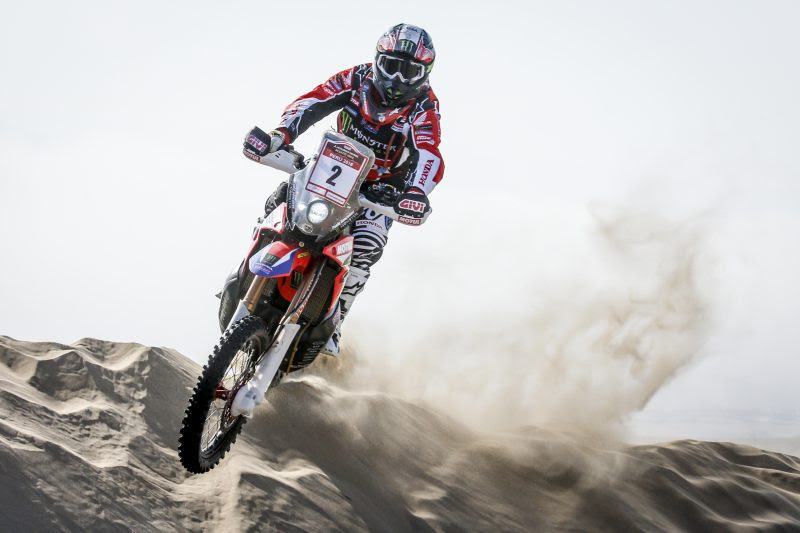 Behind were Paulo Gonçalves, sixth, and Ricky Brabec in ninth. 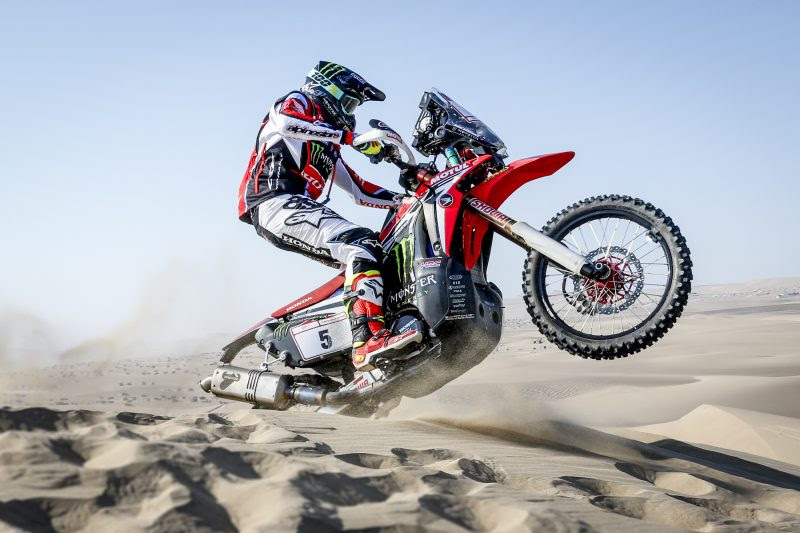 Tomorrow competitors can look forward to the second stage of this Desafio Inca which will be disputed, once again, around a double loop in Ica with another total of 350 kilometres of special stage. I started out at a good pace and I had very good feelings. I was opening a race by kilometer 30 but at kilometre 60 there was an error in the roadbook and it took us a long time to find a waypoint. I came out from behind and was able to reach the front group. The good thing is that the sensations were great and this is very important. Well, we’ve finished the first day here in Peru. The stage was nice, out in the dunes with some track and the loops. 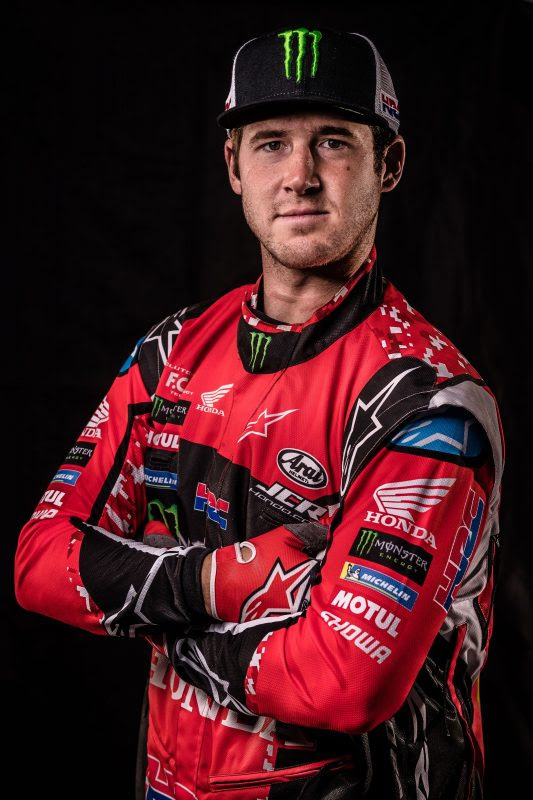 The truth is that on the first lap, we had real problems finding some of the way points which we couldn’t locate, or that hadn’t been marked out very well in the roadbook. But the most important thing today was the kilometres; we did 350. Later we were able to push hard and were able to make up a bit of lost time. Tomorrow we know the job that we’ve got to do, so hopefully we can get it done as well as possible. Day one was a great success. 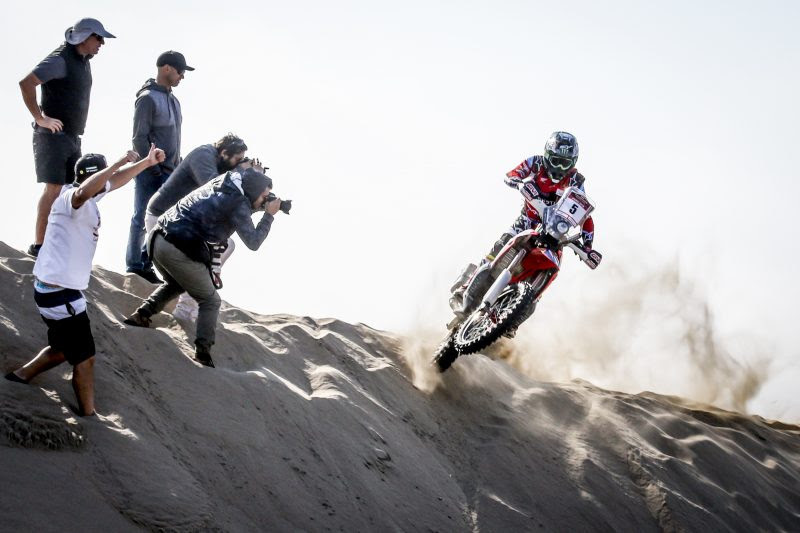 We all had a problem around kilometre sixty but that’s part of rally racing – navigating around the dunes looking for a WPS is not very easy. We lost a bit of time there. Everybody was in a big group riding up over the dunes together. There’s two more days still left. I think that we are going to have some fun while we are here. We have finished the first day of racing. It was a great day; very entertaining with the dunes. I think that it was a good stage for me. I still don’t know the result but I think that I’m among the top five. Various riders had trouble with a waypoint out there that was very difficult to find. Luckily I didn’t lose too much time. It was a fast one and a good stage. 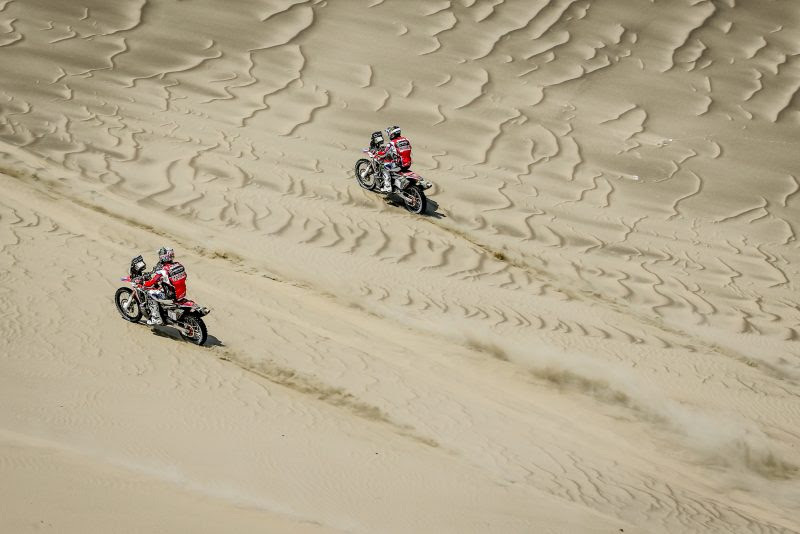 We were together with about ten other riders, so it was great fun in the dunes together. We’re all ready for tomorrow and we think that it will be another good day.